HELLO AMERICA! 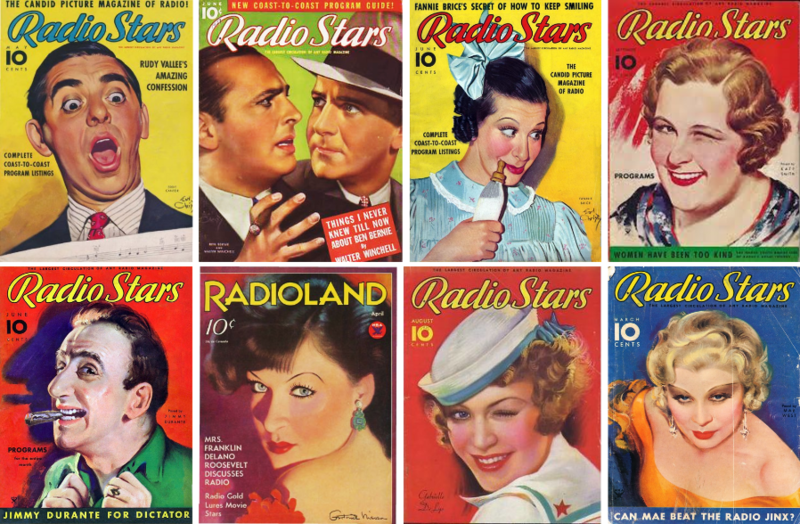 When reflecting on the days that I grew up during the early 1940s when radio was an intense source of inspiration and hope, I suddenly feel sad and terribly disillusioned focusing on what we are forced to endure on radio as well as the advent of television today. When able to tune in on shows like JACK BENNY, GEORGE BURNS & GRACIE ALLEN, LUX RADIO, and even ORSON WELLS, AL JOLSON, MARY MARTIN, I could go on forever. They made us laugh, cry and suddenly believe life would get better for everyone concern. When President Roosevelt spoke, it was meaningful, not full of resentment and hate, after all, he was addressing all of America, just not to his base. During the war, opera singer JAN PEERCE and comedian-actor JIMMY DURANTE with their respective interpretation of song THE BLUE BIRD OF HAPPINESS helped to keep America in hope through the daily issue of war news shadowed by images of concentration camps, a man wearing a frightening moustache with a challenging arm extended high above his head to represent his superiority and ultimate power; music helped to block out the intended horror by men like these. The song was scheduled Monday through Friday at 6 a.m. performed by Peerce. It inspired the young and old with hope and belief that we as a people still might be able to change the world from war to that of peace and yes, love. When I heard our radio being turned on and the song was performed, I was ready to go out and do whatever I could, even as a young kid, in making things right again. Unfortunately, today our radio stations are filled with resentment, division and with an obvious determination by some to erupt with the same kind of thinking and attitude which caused our great nation to be hurled into a Civil War which in no way would duplicate the 19th-century conflict. For the most part radio outlets are hosted by both uneducated whites and blacks who are uneducated, knowing very little about the genuine history of our nation but instead seriously programmed by those who are still attempting to raise a flag representing everything this great nation of ours fought, sacrificed and died for a true essence of freedom as well as for human respect for each other. Unfortunately, even current TV churches are subtlety singing songs of hate and division while holding the Bible as their sword of judgment for those who might challenge them. This is why they were and are so eager to cry LET’S MAKE AMERICA GREAT AGAIN! Think about it! Having spent a total of 25 years as a co-host on San Francisco radio stations KDIA and KRE, I hunger for those hours connecting with the general public. Having spent a total of 25 years a co-host on San Francisco radio stations KDIA and KRE, I hunger for those hours connecting with the general public and fans who genuinely have a need to connect with others in a more positive and creative way. For me, this is something that affects the fiber of a nation.